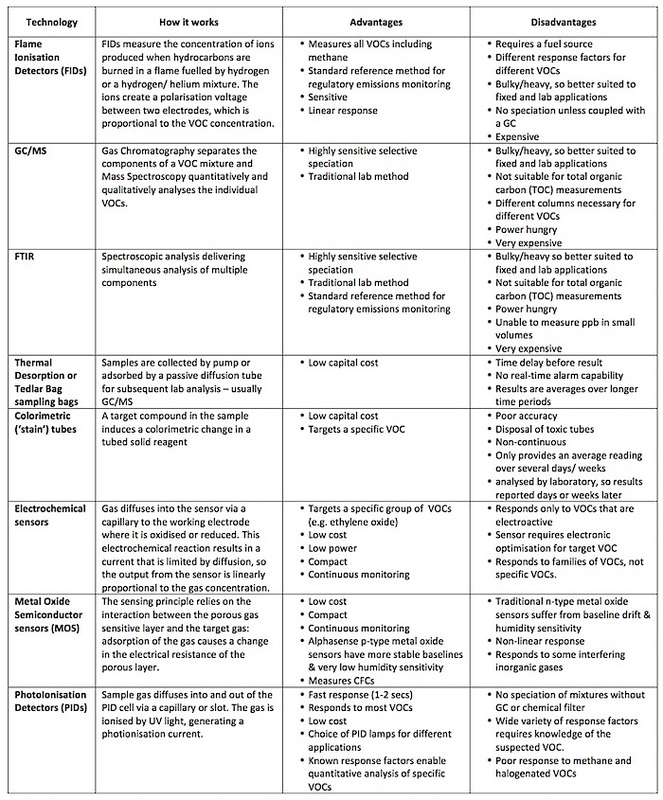 Read-out Instrumentation Signpost: Factors affecting the choice of VOC sensor. VOCs (Volatile Organic Compounds) perform many vital roles as fuels, solvents, cleaners, feedstock, sterilants etc. However, they can be harmful to health and the environment, so it is often necessary to monitor their concentration. By definition, organic compounds contain the element carbon, and exhibit similar chemical properties, which is advantageous from a monitoring perspective. 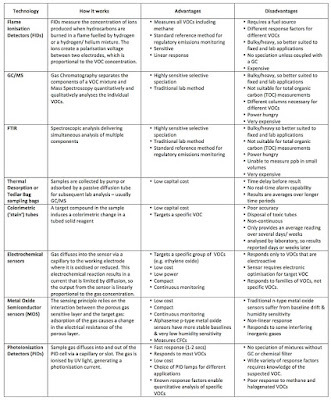 These properties unfortunately vary widely between the many thousands of different VOCs, so in the following article Arthur Burnley, Sales and Marketing Director of sensor manufacturer Alphasense, explains the factors affecting the choice of sensor – for both end-users and manufacturers of monitoring instruments. Arthur also discusses the key questions that must be addressed, but first it is important to be aware of the technologies currently available. 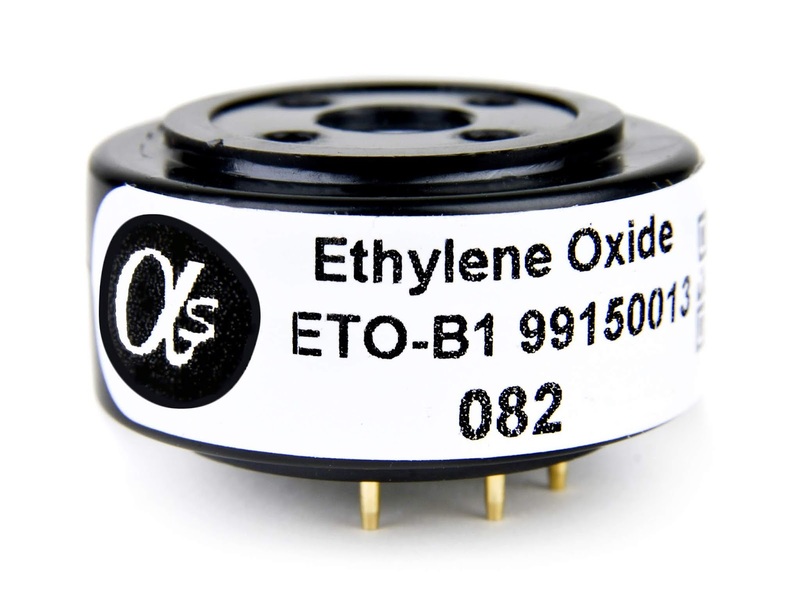 The Xenon lamp (9.6 eV) is suitable for many aromatics and unsaturated VOCs containing at least 6 carbon atoms (C6+). For example, this lamp is commonly used for the selective detection of compounds such as BTEX (Benzene, Toluene Ethyl Benzene and Xylenes).